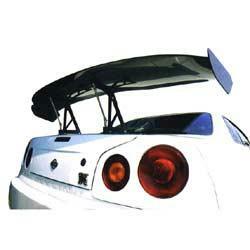 APEXi Drift Wing - Dezod Motorsports Inc - Home of the automotive performance enthusiast since 2002. The APEXi Extreme Carbon Wing comes in 3 lengths: 1350mm, 1420mm and 1700mm. Manufactured from high quality carbon fiber for years of performance and style.